Construction experience and skills to get your job done right. Whether the need is the construction of new facilities or renovation of existing facilities, we have the knowledge, people, equipment and construction methods at our disposal to complete the project in a manner that fits the client’s budget and timeline. Once the scope of work has been established, our crews will get to work by mobilizing the necessary pieces of equipment on-site to get the job done effectively and efficiently. A building cannot stand the test of time without a strong, sturdy foundation. A parking lot or roadway is no different. Unsuitable soil must first be removed or modified so as not to undermine the structural integrity of the subbase. The placement of crushed aggregate in pre-determined lifts will allow the proper compaction of the stone. The advantage of using crushed stone is that the material will in essence “lock together”. A precisely fine-graded and compacted stone base assures the asphalt layer will drain as designed and provide a durable wearing surface. Rain, snow, ice, freeze-thaw cycles can wreak havoc on your parking lot. These conditions can create potholes, water backups, collapsed catch basins, and damaged pavement, which can all be the result of water undermining your asphalt pavement. Managing water properly on your parking lot is the most important ingredient for preserving your lot. 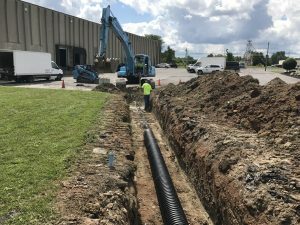 Installing Drainage Pipe helps prevent damage to pavement. 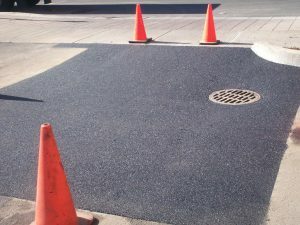 This process reduces pavement damage by collecting water under your pavement and directing it to a catch basin, or safely out of the pavement structure, rather than it collecting and saturating the soils beneath the pavement. Catch Basin Repair will keep water from getting into the pavement section and creating soft, water-saturated soils that can destroy the pavement. We’re experienced with PVC, corrugated plastic and concrete piping and can reconstruct or remove & replace your catch basin. Storm Sewer System efficiently moves storm water from your pavement and property to the storm sewer system. Emergency Breaks can be a nightmare. We’re available whenever you need us to handle them and get everything back to a clean, paved surface!! Asphalt is the material of choice for most properties because of its strength, ease of maintenance, durability and cost-effectiveness. Ruston Paving starts by ensuring the existing or new base stone is strong, compacted and graded correctly. 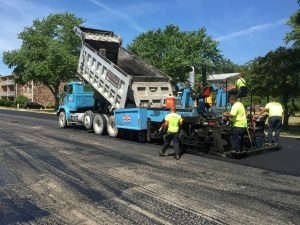 The asphalt is installed with state of the art asphalt pavers and vibratory rollers by operators who receive consistent training by industry professionals. 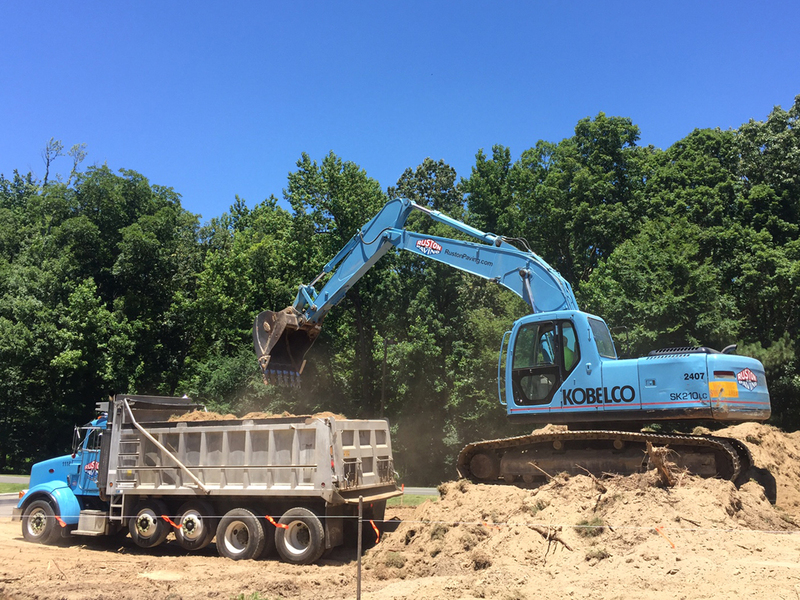 New Construction: Our crews will excavate and remove the existing grass, dirt, concrete asphalt, or stone to the desired design depth. We will supply and install a crushed aggregate base course, compacted in lifts to the correct design elevations. 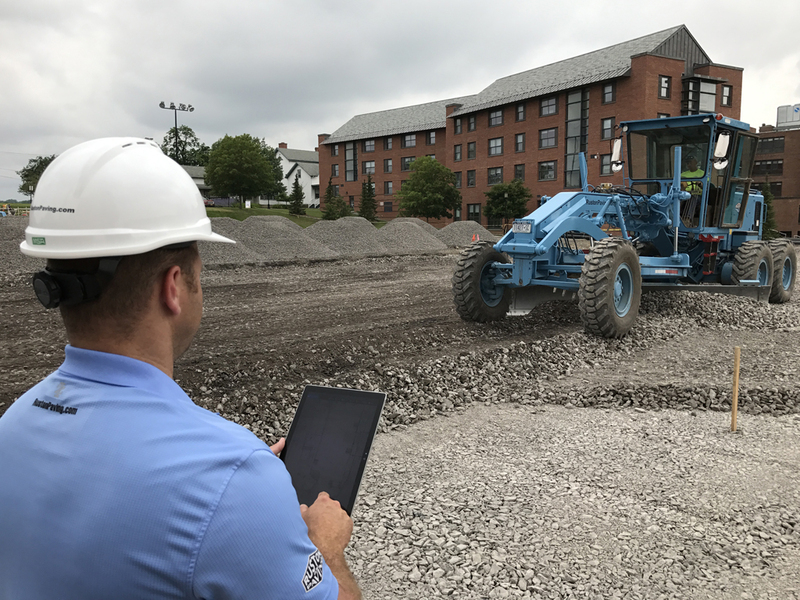 The design depths and elevations are determined by the project manager assigned to your job, with knowledge of the average daily traffic flow, type of vehicles using the asphalt surface, and your local soil conditions. The project is then paved to the compacted thickness that is stated in the proposal/contract. 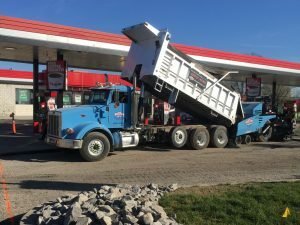 Remove and Replace: Ruston Paving has the ability to remove the existing pavement section down to the stone layer. The existing subbase will be regraded to ensure proper drainage and compacted in preparation for the new asphalt to be installed to the desired thickness. 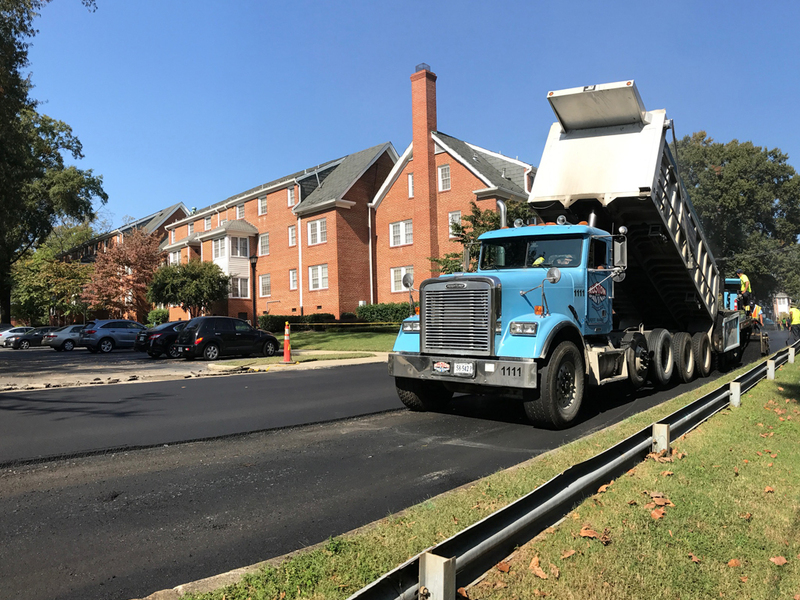 Mill and Resurface: If the surface of your pavement is cracked but still structurally sound, our crews can remove the deteriorated, wearing surface of your asphalt. During this process, we’re able to profile the surface to the best grade possible for the drainage of rain water. We then sweep the newly-milled surface and apply tack coat to bind the existing asphalt to the new asphalt layer. A new layer of asphalt surface is then installed, which will return the area to its previous grade.